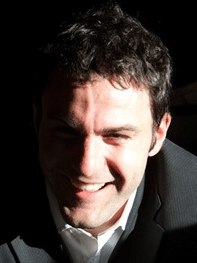 Guest Blogger - Andrew Cohen is the founder & CEO of Brainscape. Brainscape is a web & mobile education platform that helps people learn more efficiently using an adaptive learning algorithm. Brainscape originated as a personal project that Andrew used to help him study foreign languages, and it has since grown into a product used by millions of students for hundreds of diverse subjects. Andrew previously worked as an Instructional Designer for the World Bank and the United Nations and has consulted for several Wall St. corporate training initiatives. He holds an MA in Education Technology from Columbia University. And Andrew plays the piano! Studying music theory can be a drag. Sure, we educators know that it helps students become better musicians, and that it is a necessary component of music skills development. But at the end of the day, students would rather just practice their piano or guitar! Brainscape is happy to be working with Ultimate Music Theory to make the music theory studying process as efficient as humanly possible. Our learning scientists have been working to break key Music Theory concepts into their fundamental building blocks, and organize them in a pattern that is customized to the student’s brain’s pace of learning. More efficient studying means that students will have more time to focus on their instruments. 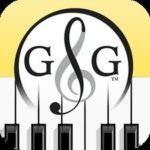 Over the past few months, Brainscape’s latest web & mobile app has helped thousands of learners literally double their speed of Music Theory skills advancement. We are committed to creating great study tools to accompany all of UMT’s major workbooks and to continuing to advance the effectiveness of our learning technology. Brainscape's trick is a process that we call Confidence-Based Repetition. When Brainscape shows the learner the “back” side of an intelligent flashcard, our system asks the learner to rate their confidence in that concept, on a scale of 1-5. Eliciting the learner’s own self-assessment has been proven to improve the depth of knowledge acquisition and makes it easier for software to optimize the pattern of repetition henceforth. While millions of learners have already used Brainscape for subjects as diverse as Geography, Spanish, and Medical School, our system has proven especially effective for Music Theory, since it allows us to exploit many different modes of audiovisual learning. General Music Trivia, and many other concepts. Students can use Brainscape to easily track the details of their mastery in each topic, while teachers & tutors can monitor their mastery as well. The best part is that students can study anytime, anywhere. Unlike a musical instrument or a music theory workbook, they don’t have to remember to bring it with them, since they always have their iPhone in their pocket. And even if a student doesn’t have an iPhone or iPad, they can still study on Brainscape’s website every time they’re in front of a computer (which is all the time these days). So check out our Music Theory Flashcards product now. You and your students will be glad you did. Brainscape helps you Learn Music Theory Faster using Brain Science.